Joe Lynn Turner (“JLT”), one of Hard Rock’s most distinctive, soulful and expressive vocalists, brings his 2010 Blood Red Sky Tour to stages across Brasil this May. Having spent over half of his professional career fronting some of Hard Rock’s most important and influential bands including; Rainbow, Deep Purple and Yngwie Malmsteen, JLT’s extraordinary legacy in Hard Rock music has developed a resilient foundation for his continual on going works. His artistic career spans nearly 30 years and includes over 7,000,000 million albums sales, and over 60 album credits. JLT continues to forge his legacy having never limited his options or his experiences as he continues to work with some of the most creative names in music and consistently release critically acclaimed solo albums, collaborative projects and tour globally year after year. The Blood Red Sky Tour will highlight the best moments of Turner’s career performing the both his solo hits he and music he wrote and performed while in Rainbow and Deep Purple and will also include a lot of surprises… The tour kicks off on May 6 in Goiania, Brazil and will reach 10 cities throughout Brazil, throughout the month. For more information on cities, dates, times, ticket outlets and press release please contact Heloisa Vidal at Brasil Music Press: press@brasilmusicpress.com. 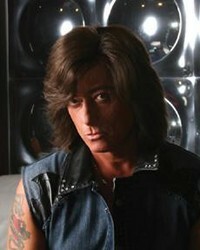 You may also visit the Joe Lynn Turner Latin American Tour Site for more information at: www.jltlatinamerica.com.